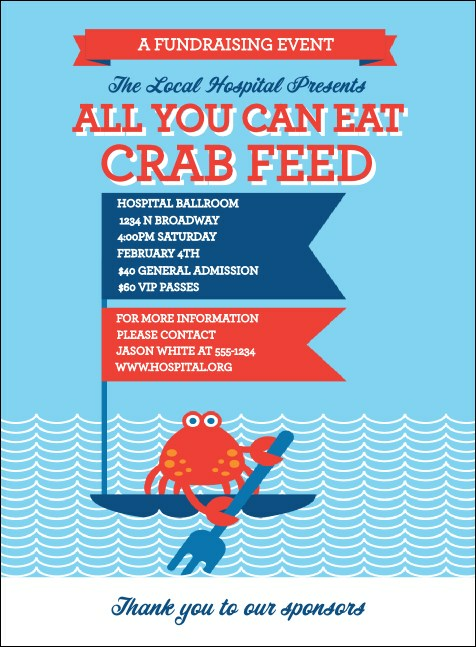 Encourage greater numbers at your gathering when you use the Crab Feed Invitation! This imaginative template features intense shades of scarlet, snowy white and sapphire as a bright-eyed shellfish gamely paddles his way through the waves with a dinner fork. Assign any event info you want to 15 prominent lines of text. Get attention with the right invitation from TicketPrinting.com!